Quick cash may be an emergency requirement, especially if you have fewer savings and not a very good credit rating. In such circumstances, certain personal loans are available for you to use and get help. Around 5 percent of Americans use such personal loans in order to help pay bills. A personal loan of this nature can be a car title loan or a payday loan. Both are similar, but they do have differences. Car title loans are a type of secured loan where the borrowers use their car as collateral. Imagine you are in need of money and it’s an emergency. You need cash as soon as possible but getting money from banks as the loan will take a very long time. Here is where you can use a car title loan. Car title loans operate in twenty five states in America. The borrower must allow the lender to place a lien on their car title and surrender the hard copy of the title temporarily for the loan. Once the loan is paid back the lien is removed and the title is returned. There may be a repossession in case of non-repayment. Title loan customers spend $1,000 on average as per the Pew Charitable Trust survey. They are larger than payday loans as payday loans are only $375 on an average. Car title loans are short term and often given very quickly. The features of car title loans are that it is private and discrete, requires zero credit checks, it is fast and easy, there is no pre-set limit and it is easily accessible. Car title loans are accessible easily and can be applied for by anyone. Such loans don’t require credit checks or too much paperwork. If you pay back your car title loan fast, there won’t be much effect on your credit score either. This is possible as the repayment period is very short – 15 to 30 days. The risk of the loan is balanced by the title of the car. Simply search for title loans near me or learn here car title loans online to find the lenders and the terms of the loan. Quick and easy: Car title loans are convenient as you get the funds fast. The process is easy, and not much paperwork is involved. Once you submit the form, you can get the funds fast, even within hours. These days the application and approval process is online which makes the whole loan application and receiving funds process faster. 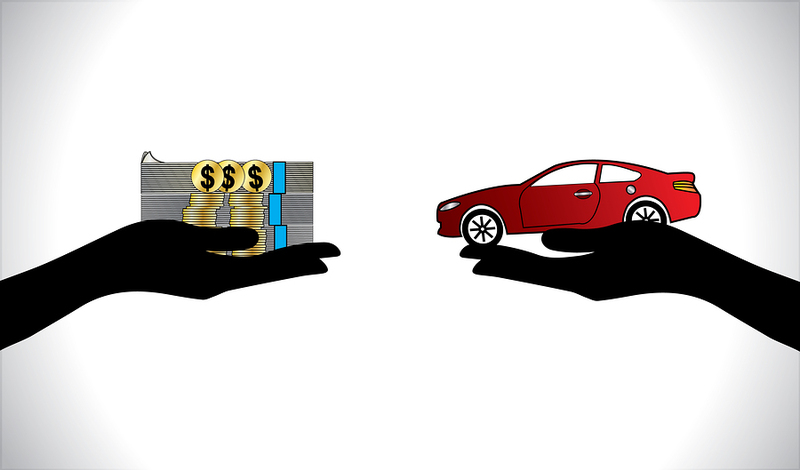 Credit does not matter: Car title loans don’t require a credit check; hence they are also called no credit check loans. Most loans will check a borrower’s creditworthiness through their credit scores. But a car title loan does not function that way. They are based on your car title which you offer as collateral. Lenders will not ask to see your line of credit and you can borrow even if your credit score is bad. Use your car: Even though you have kept the car as collateral in a car title loan, you are free to use it and drive it around. It is only the title of the car that is to be deposited with the lender. This title is also returned once the loan is paid off in full. Payday loans are like cash advances wherein you apply for a small loan amount when you need money and then pay it back as soon as your paycheck comes through. They are small, unsecured, short-term loans which are dependent on the borrower having payroll and employment records. This loan type is also for emergencies when you need cash fast. Payday loan stores are functional in 36 states in the USA. There is some verification of income or employment through bank statements or pay stubs. The borrower visits the lender for a loan and promises to pay it back with his next paycheck. The borrower writes a post-dated check to the lender, the amount is including the principal and the loan fees. On the repayment date the borrower is expected to return to the store to repay the loan in person, but if he doesn’t show up the lender can redeem the check. If the check bounces due to a shortage of funds, then the borrower will face charges from the bank. This will add to the financial burden, so it is better to pay back on time. The short term loan is for a small period, usually, 14 days after which it becomes due. You can also extend the loan by writing another post-dated check to your lender. Easy to access: Payday loans can be obtained by anyone. Any person with a stable job, who is an adult can apply for a payday loan. There are no credit scores involved here usually and you can get fast funds. Convenient: Payday loan stores operate in 36 states in the United States of America. As such, it is not difficult to find a lender. You can search online and make comparisons before you decide on one lender. The application process can also be done through the internet, removing the need to physically go to the store. Fast: All you need to do is fill the application form, submit and you have cash in hand. If you use the online process, then you may get the funds in your bank account directly. Easy payment option: Payday loans are lenient and are perfect for someone who doesn’t have another source of funds. Such loans are often used to pay bills before the paycheck gets cleared. Aw, this was a very nice post. In idea I would like to put in writing like this additionally – taking time and actual effort to make an excellent article… however what can I say… I procrastinate alot and by no means seem to get something done.